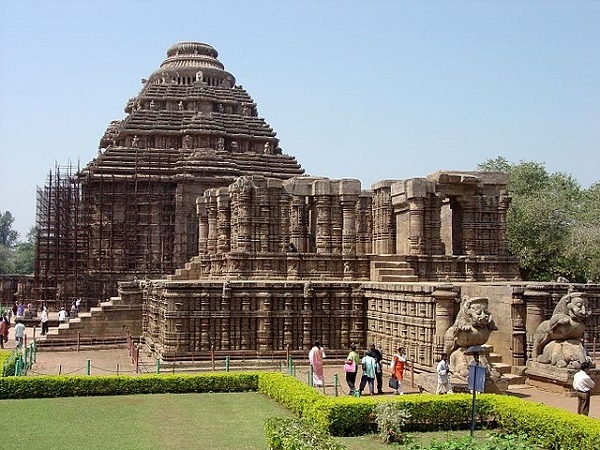 One of the seven wonders of India, the Konark sun temple is located in Odisha. 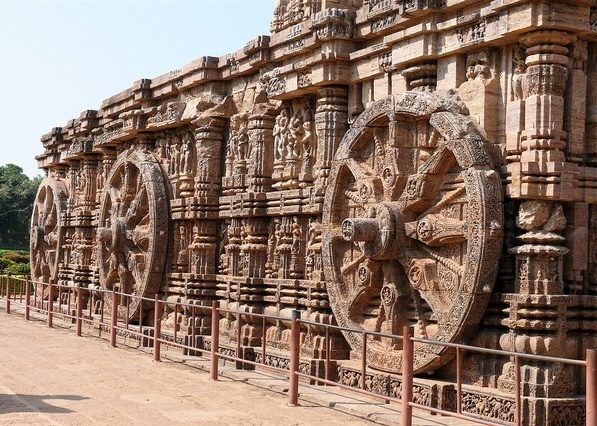 Built around 800 years ago in the 13th century, this temple is in the form of a gigantic chariot of 'Surya Dev' or the sun god. Most of parts of the original temple are ruined today, including the magnificent vimanam. The original Vimanam or 'garbh griha'f the temple is considered to be 70 m tall surrounded by one dozen stone wheel pairs around the temple. Each such wheel is 3 m wide, and the whole chariot is pulled by 7 horses...called as Suraj ke saat ghode. These are not ordinary wheels, each of them represents a sundial, indicating the correct time of the day with up to a minute's accuracy. The architecture of the temple is so perfect that when the sun rises, its first ray always falls on the entrance of the temple. 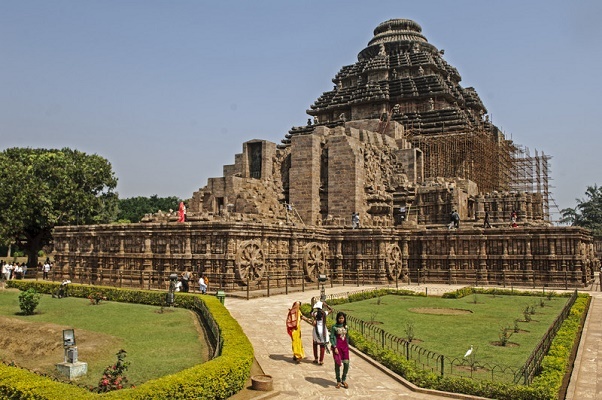 The temple was believed to be built by Narasimgadeva in 1238 to 1264 CE. Due to its extra ordinary architecture, the temple is included in the list of world heritage site of UNESCO. 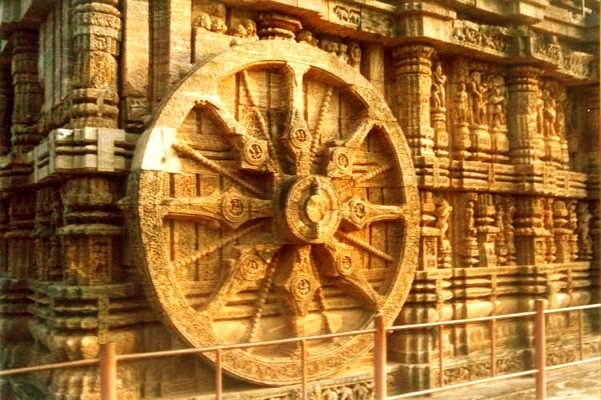 The nearest airport to konark is Bhubaneswar, which is 64kms away. While the nearest railway station is Puri, 31 km away. Buses and taxis are available with good frequency from major towns of Odisha.